The full rollout of Google Shopping campaigns to global advertisers last year rapidly changed how online retailers deliver products to audiences with a high intent to purchase. 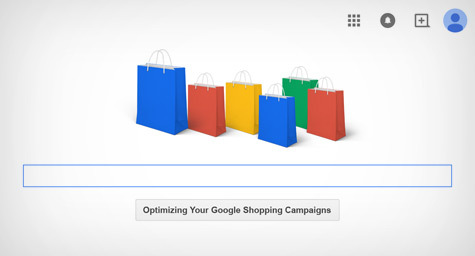 Shopping campaigns are the evolution of Google’s incredibly successful Product Listing Ads (PLAs), which were introduced in 2012. While the actual ad format is the same—prominently featured product images and prices from merchants in search results pages—the transition to Shopping campaigns added a host of additional management features such as in-depth reporting, competitive insights, and prioritization. So, does a highly effective product ad format combined with a powerful management platform equal certain success for online retailers? Not necessarily. While the tools are robust and the ads do appear in a coveted space, there still is an art and science to optimizing Shopping campaigns for success. The Google Shopping campaign platform provides insightful auction and performance data to help advertisers adjust their product level bids. While meeting the suggested benchmark cost-per-click (CPC) numbers may seem like a great idea, you’re actually better off slowly adjusting bids rather than immediately doing what Google tells you to do. Why? Because a quick adjustment to bid levels in Google Shopping can rapidly tear through budget without garnering the return you’re looking for. Rather than automatically spending the amounts specified as the benchmark CPCs, you should adjust bids incrementally. This will allow you to monitor ROI rather than simply optimizing to dominate a competitive landscape. One of the most effective ways to utilize Google Shopping is to immerse yourself in the segmentation of product groups. In other words, be as specific as you can. The more you break down your products into the categories and subcategories included in the Shopping platform, the more effectively you can optimize for performance. Pay careful attention to the product categories Google provides and compare those to how products are categorized in the merchant feed. Whether you’re aiming for volume or getting tactical about selling at a specific cost per action (CPA), it’s essential to make sure you’ve put your products in the most effective groups. The Auction Insights tool gives you the chance to compare your performance to that of competitors that are taking part in the same auctions. While the reports may not be as accurate as you’d like, they’re still essential barometers in measuring the visibility of ads in relation to other retailers. Use this data carefully to benchmark and understand how much impression-share your ads control in relation to other players in the same space. Ultimately, the tool won’t tell you exactly how to beat your competitors, but it will serve as a helpful gauge to understand whether you’re on, above, or below par with other digital businesses fighting for the same coveted real estate in Google Shopping. Get a look at the latest in online shopping campaigns. Contact MDG Advertising today at 561-338-7797, or visit mdgadvertising.com. MDG Advertising, a full-service advertising agency with offices in Boca Raton and New York, NY, is one of Florida’s top interactive agencies and branding firms. MDG’s capabilities include print advertising, direct mail marketing, branding, logo design, creative, media buying and planning, radio and TV advertising, digital marketing, website design and development, online video advertising, infographic development, display marketing and retargeting, mobile marketing, email marketing, content marketing, lead generation, online reputation management, social media marketing, and SEO. For the latest trends in advertising and branding, contact MDG Advertising today at 561-338-7797 or visit mdgadvertising.com.